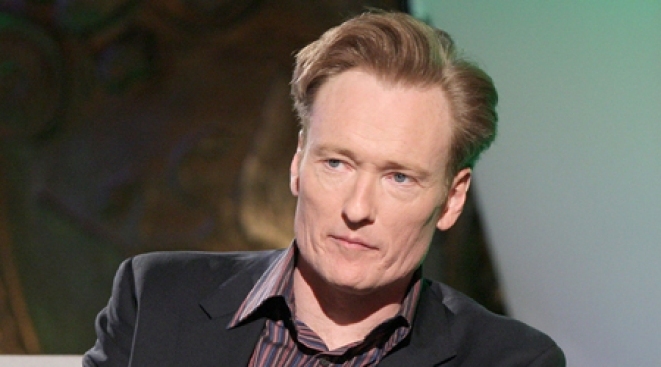 Late Night writers discuss Conan O'Brien at the Paley Center Saturday afternoon. CONANIZED: As part of the New York Comedy Festival, Sarah Vowell leads the writers of Late Night With Conan O'Brien (sadly, sans tall readhead) in a shop-talk panel with the awesome name Deconstructing Conan at the Paley Center. 3PM. BOATY CALL: It's taken two years to complete a full makeover for New York's most famous aircraft carrier, including period details, a 22-foot-long LED wall playing military clips, and a Concorde jet. The Intrepid Sea, Air & Space Museum reopens today at Pier 86. UNTIL 9PM. MIDTOWN MY FUN: The Asian Contemporary Art Fair rocks Pier 92 through Monday, with new (and wildly playful, from what we've seen) works from 14 countries' worth of artists creating Asia's scenes today. UNTIL 7PM.